Tess C. Taylor, CPC, PHR, SHRM-CP, PayScale Senior BloggerThe summer months are just about to kick off and with the warmer weather comes new and exciting industry events. Each year, hundreds of thousands of organizational leaders, human resource practitioners, and compensation managers head for conferences and expos to learn about the latest in technology, best practices, and legal updates. To make sure you know about these happenings, be sure to grab your calendar and start making plans to attend this summer’s hottest compensation events! The summer months are just about to kick off and with the warmer weather comes new and exciting industry events. Each year, hundreds of thousands of organizational leaders, human resource practitioners, and compensation managers head for conferences and expos to learn about the latest in technology, best practices, and legal updates. To make sure you know about these happenings, be sure to grab your calendar and start making plans to attend this summer’s hottest compensation events! Held in beautiful Orlando, FL, this year’s WorkHuman 2016 event promises to be even more enlightening and fun than ever before. The speaker lineup is impressive, with best-selling authors, CHRO guests and celebrities including Michael J. Fox, Shawn Anchor, Pat Wadors, and Amy Cuddy. Attendees have plenty of opportunities to earn CEUs and advance in their careers, while networking with top decision makers and thought leaders in the corporate compensation world. 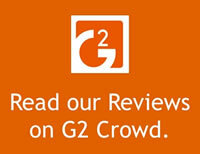 Every year, thousands of compensation specialist flock to the WorldatWork Total Rewards Conference & Exhibition, held in San Diego, California. This popular compensation event features a full range of educational and professional networking opportunities, and the chance to see innovative new products in their exhibitors’ hall. The event is sponsored by WorldatWork, which is a “global human resources association focused on integrated total rewards to attract, motivate and retain a talented workforce”. This year’s speaker lineup includes Josh Linkner, author of Disciplined Dreaming: A Proven System to Drive Breakthrough Creativity and recipient of President Barack Obama’s “Champion of Change” award. Just across the pond is the Chartered Institute of Personnel and Development (CIPD) – HR Software Show, which is an annual event held in London in the UK. This exciting event focuses on driving organizational performance through technology and features free learning sessions, expert advice and a vendor expo. Attendees have the opportunity to meet leading HR software and technology suppliers and get advice on everything from employee benefits, performance management, OD, payroll systems and more. Register now for free entry! Of course, no summer could be complete without attending the Society for Human Resource Management’s annual conference and expo! This year, it will be held in the nation’s capital and features an outstanding array of HR speakers, thought leaders, and vendors all gathered under one roof. HR professionals who attend also get a chance to rack up multiple continuing education credits at the exciting workshops. There will be plenty of time to network and mingle with the top minds in human resources and compensation. Seattle, Washington will be rocking as PayScale launches it’s annual Compference event at the end of this summer! The event will showcase modern approaches to compensation including cloud software, big data, data science and machine learning technologies that are transforming traditional business practices. 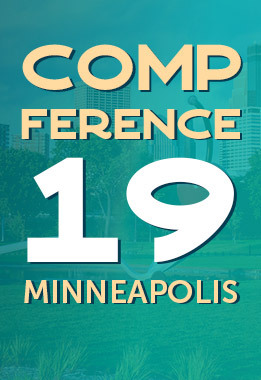 Compference will bring together industry experts, HR practitioners and executives focused on modernizing compensation and turning it into a competitive advantage for companies as they compete for talent in an increasingly dynamic post-recession economy. At the end of the summer is the International Society of Certified Employee Benefit Specialists (ISCEBS) Employee Benefits Symposium, this year to be held in Baltimore, MD. Keynote speaker Linda Nazareth, Economist, Senior Fellow for Economics and Population change, Macdonald-Laurier Institute, Toronto, Ontario; shares insight into the global market economy and the projected trends that all HR and compensation professionals need to know. Other learning activities include Affordable Care Act. Retirement plan, Department of Labor, and ERISA updates.